"Quack! Quack! Quack!" With Ducky setting the pace, these little bunnies sprint across the lake in no time! 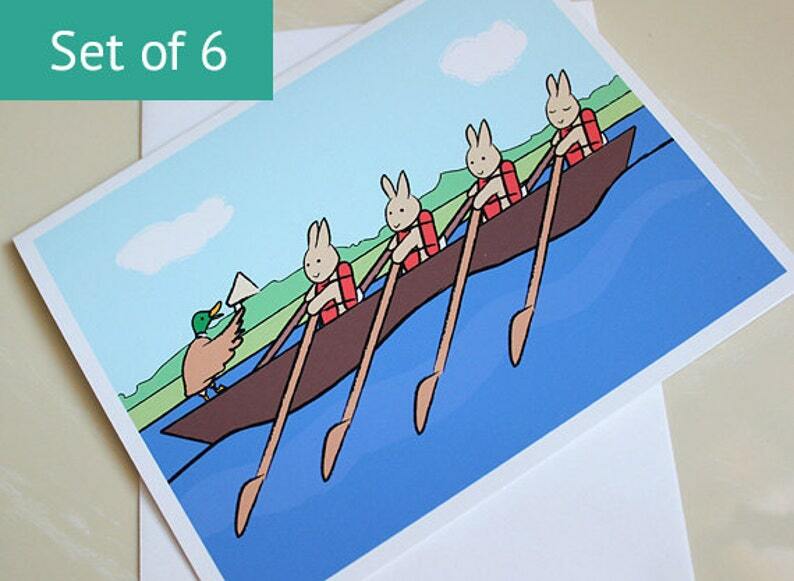 Show someone you care by sending one of these charming blank notecards featuring the little bunnies in their rowboat.